Not getting good job opportunities? Maybe because you don’t have the relevant skills needed for a particular job. In today’s world, both qualification and experience are required to fetch you a good position. But what if you are a recent college pass-out or looking for a change of career or a homemaker who wants to get back to the workforce after a long gap? Having no experience does not mean you lose all the chances of having a good career. You must not be having a long list of impressive job titles, but we all possess some skill or the other. Think what you are good at. If you are not sure, ask your friends or family. You could have raised funds for some organization which means you have the organizational skill which is seen as a valuable skill for teams. Or you might be the person from whom others look for advice, which means you have problem-solving skills. Think in a broader perspective and keep listing down your skills. You might feel that none of your skills is any ‘real’ job. But people with no experience have to think something different from regular job titles. Many times we do some work, but since we are not paid, we don’t consider them valuable enough. This is not true. You could write about the skills required for your college project or doing a part-time job. Any particular project or speeches or awards will count. This is the tricky part where you take all your skills and experiences and refine them to fit in your resume. Do not write long paragraphs, instead, make them crisp. For example, you won second place in science exhibition, with 300 students participating or raised a fund of $2,500 for ABC fundraising project in 2 weeks benefitting XYZ school. Always quantify your skills to get noticed. Now the question arises, what should be the sequence of your skill sets? Always remember to start your resume with the strongest asset. If you are a graduate, list your qualification first. If you neither have education nor skill, start with a list titled as “Qualification Summary” (including all your experiences and accomplishments discussed above). Any hiring company always looks for some character traits in its employees which would help in the growth of their organization. So add a section as “Interests and Hobbies.” One never knows, but our hobbies might make a connection with the hiring official. Volunteering does not earn you money but experiences. Take up volunteering for those tasks which would help you to develop the necessary skills needed for your dream job. It not only boosts your resume but helps you in networking and channelizing you in something productive. Always look for different ways in which you can throw some positive light on your abilities. Everyone lacks skills, in the beginning, so think outside the cliché and try and showcase your skills in the best possible manner. Many times it happens, that even after writing your resume in the correct way, you are not getting interview calls. 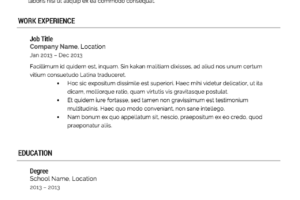 Also, there is certain professional jargon which is typically used while writing a resume. 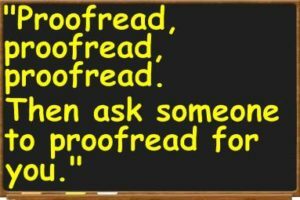 Only professional Resume Editing Services can get your resume ‘right’. 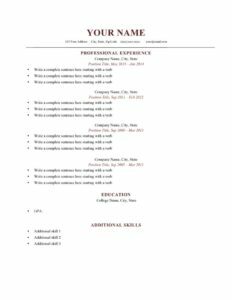 Contact one of our expert resume editors if you need a resume without any experience. 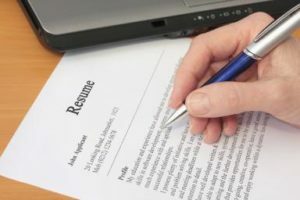 We have multiple experienced resume writers who can make your resume stand out among heaps of other job applications.